Great bassist and composer, Bruce Lynch appears in many fantastic albums. Bruce Lynch was born in New Zealand in 1948. He started playing bass in several bands from Auckland, but after marrying singer Suzanne Donaldson (known as Suzanne Lynch), they went to England around 1973. He's also father to Andy Lynch (guitarist in New Zealand bands Zed and Atlas). 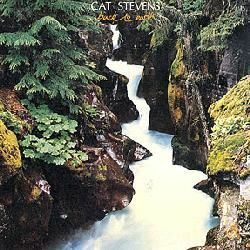 Linda Lewis and Jim Cregan toured supporting Cat Stevens during 1974, so Cregan, Lewis and Max Middleton also appeared as a guest playing in some songs by Cat. There's a live album recorded from that tour, Saturnight (Live in Tokyo), recorded in June 1974. Originally, it was released only in Japan, as a benefit album in behalf of UNICEF. But the great news is that in 2001, this album would see a worldwide reissue on CD. Please, I´d like to know if Chico Batera and Mark Warner played in the band in that same tour. Does anybody know? In September 2004, a live CD (and DVD) has been released from those concerts, both called Majikat. Peter Adams, Patrick Alan, Trevor Barry, Chico Batera, Harvey Burns, Kimberley Carlson, Clive Chaman, Gerry Conway, Alun Davies, John Gibbons, Angela Howell, Alan James, Luis Jardim, Pat King, Chris Lawrence, Suzanne Lynch, Del Newman, Tony Offord, Anna Peacock, Jean Roussel, Larry Steele, Cat Stevens, John Themis, Mark Warner, Tony Wood,... up to 26 musicians. Can someone help me with additional info, please? Jon Anderson, Steve Barnacle, Reg Brooks, Vicki Brown, Dave Colquhoun, Dave Cousins, Jeff Crampton, Chas Cronk, Dr Doom, John Dunsterville, Mike Egan, Rick Fenn, Tony Fernandez, Barry Flather, Frank Gibson Jr, Anthony Glynne, Chrissie Hammond, John Hodgson, Ashley Holt, Rick Hudson, Barney James, Sonia Jones, Cori Josias, Dave Lambert, Phil Laughlin,... up to 38 musicians. Bruce also owns a studio, Boatshed Studio. Comments: Recorded live in June 1974, and originally released only in Japan. Comments: Live DVD recorded in February 1976, but released in 2004. There´s a CD edition with a slightly different tracklisting. Comments: Live CD recorded in 1976, but released in 2004. There´s a DVD edition with a slightly different tracklisting. Comments: 4CD boxset, including some rarities. Comments: 2CD covering the 3 albums by Space Case: Executive Decision (1981), Space Case 2 (1983) and Space Case Three (1985). Comments: 4CD boxset including unreleased tracks. Comments: CD reissue includes 1 bonus track. Comments: A very fine singer, he sang lead in one of the roles for Jesus Christ Superstar. He has featured a quiet career, being his biggest hit the fantastic song ´Say it ain't so, Joe´, featured in this album. The musicians appearing here are: Jim Cregan (guitar), Alun Davies (guitar), Mickey Finn (guitar), Bob Weston (guitar), Graham Preskett (mandolin), Bruce Lynch (bass), Nick South (bass), Arthur Watts (bass), Ann Odell (keyboards), Billy Day (keyboards), Chas Jankel (keyboards), Brian Johnston (keyboards), Tony Kaye (keyboards), Anthony Healey (trombone), Noel Norris (trumpet), Morris Pert (percussion), Chilli Charles (percussion), Brother James (conductor), Simon Phillips (drums), Gerry Conway (drums), Glen LeFleur (drums), Pete Thompson (drums), and backing vocals by Vicki Brown, Liza Strike, Suzy Lynch. The album was produced by Paul Samwell-Smith. Comments: They only released this album, full of great musicians: Ray Russell (guitar), Bruce Lynch (guitar), Brent Forbes (bass), Jean Roussel (keyboards), Blue Weaver (keyboards), Phil Kenzie (sax), Ray Warleigh (sax), Gerry Conway (drums), Frank Ricotti (percussion). Produced by the mythical Tony Visconti. 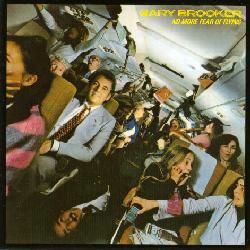 Comments: This was the first solo album by Procol Harum leader, Gary Brooker. It includes guest appearances by Tim Renwick (guitar), B.J. Cole (steel guitar), Bruce Lynch (bass), Dave Mattacks (drums), as well as horns by Gonzalez. Although the album doesn't mention the list of horn players, Chris Mercer played there, as he told me. Backing vocals by Stephanie De Sykes, Claire Torry, Richard Myhill and Dave Reilly. It includes a rendition of lovely song by Murray Head, ´Say it ain't so, Joe´. Tim Renwick co-writes a song, ´Give me something to remember you by´. The CD reissue contains 3 bonus tracks. 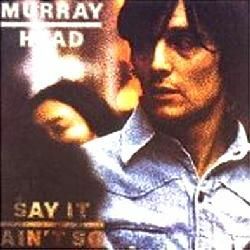 Comments: Jokes/voices marks the reunion of Murray Head and Chris Mercer since 1973 (as far as I know). With the great Jeff Beck playing here too, plus Alun Davies (guitar), Richard Thompson (guitar), Geoffrey Richardson (guitar), Simon Nicol (guitar), Bob Weston (guitar), Pat Donaldson (bass), Dave Pegg (bass), Gary Taylor (bass, guitar), John G. Perry (bass), Bruce Lynch (bass), Rupert Hine (harmonica, keyboards), Dave Mattacks (drums), Andy Newmark (drums), Trevor Morais (drums), Jeff Allen (drums), Morris Pert (percussion), Paul Samwell-Smith (percussion, vocals), and backing vocals by Dyan Birch, Suzanne Lynch, Nick Barraclough, Anne Barraclough, Anthony Head. 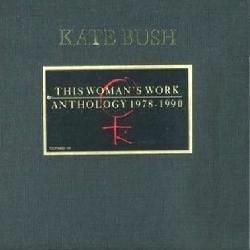 Comments: 3CD boxset with 23 unreleased tracks. Comments: 4CD boxset comprising all his career, starting with Fairport Convention up to his fantastic solo albums. 01. Bruce Lynch plays in some album by Scott Walker, but don´t know which one. Can someone help me? 02. Does Bruce plays in the Cat Stevens TV special featuring Linda Ronstadt and Dr John? 03. Bruce has played in recordings by Chris De Burgh, Leo Sayer, Art Garfunkel, Spike Milligan, Mary Hopkin, but don´t know in which albums. Help, please! 04. Still in England, Bruce also played in more soundtracks not credited to him, but can´t find which ones. 05. Can someone tell me if Bruce plays in Space Case´s 2nd and 3rd albums? 06. 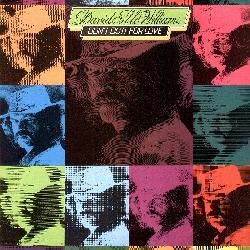 Bruce worked with Rod Edwards & Roger Hand in an album with poetry in 1975, along with Gerry Conway. Which album? Disclaimer: I don´t own or upload any of the videos linked here. I just include links to live videos that are already available, in order to show the work of this musician. Anyway, if someone feels that some link shouldn't be included, please write me at the email address shown below. And if you know of more videos featuring Bruce Lynch, please, also write me with the link. Featuring: George Chisholm, Frank Gibson Jr, Bruce Lynch, Murray McNabb, Brian Smith. Featuring: Ben Gilgen, Leyton Greening, Billy Lang, Bruce Lynch, Russell Watson. Bruce Lynch: for writing me (2001). 29/September/2012 - Page added to the blog. 01/December/2000 - Original page written by me (in the old site).